When my son was a toddler, his place was McDonalds. 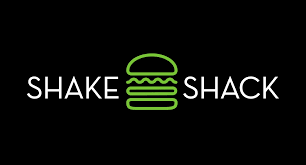 The my son discovered Five Guys, Smashburger, BurgerFi, Zinburger, and his favorite, Shack Shack. In addition to those national chains, there is a proliferation of smaller burger joints around us. What does this all mean? We clearly have a burger craze going on and that only means one thing, a future burger joint glut. It’s bound to happen. You think I’m wrong? Restaurant fads are a thing. Pizza places, donut shops, tex-mex restaurants, these are just some of the hot restaurant trends that are just now fads. No one stays on the top forever and there will be a point when the market and taste for burgers will be oversaturated. Luckily, none of the burger restaurants have gone the route of the greedy franchisor and set up a franchise every other block. Just ask the folks at Coldstone Creamery and Quzinos how that went. Eventually, there will be another big restaurant fad and the next big thing will be popping up all over town.